Although not a convincing result, Ukraine’s 1-0 victory over Finland (read the match report here) means that the country is now in second place in Group I in the UEFA World Cup qualification stage. Ukraine’s failure to score in the second half, meant that some media outlets in Ukraine called the match a step back to the time of former head coach Mykhaylo Fomenko. Current head coach, Andriy Shevchenko, will indeed have to look at the match and find ways to combat the complacency that seems to creep into the game of the Ukrainian national team. At the same time, he has kept his promise to restructure the national team, and to introduce young promising talent to the squad. The 25-man squad called up, which faced Finland on Saturday, and which will play Serbia on Tuesday November 15, includes several players under the age of 23, who could very well form the future backbone of the zbirna. While Viktor Kovalenko, and Oleksandr Zinchenko were already called up for Ukraine’s squad that travelled to France for Euro 2016, Shevchenko has also integrated 22-year-old Ivan Petryak, 23-year-old Maksym Malyshev, and 21-year-old Eduard Sobol into the squad—all three were looked at by Fomenko before the European Championships, but all of them were left out for the final squad that travelled to France. The current squad also includes two further prospects, who could become a major part of the squad’s future: the 20-year-old forward Artem Biesiedin, and the 18-year-old right winger Viktor Tsygankov, who both play for Dynamo Kyiv. Tsygankov, especially, has seen major playing time under head coach Serhiy Rebrov at Dynamo Kyiv in recent weeks. The Dynamo head coach has been under considerable criticism this season for Kyiv’s rather mediocre results in the Ukrainian Premier League and the UEFA Champions League, and perhaps his saving grace was the fact that he is currently trying to move the squad’s development forward without investing heavily in foreign stars. Indeed, Viktor Tsygankov, especially, has made major progress under Rebrov’s leadership this season. The 18-year-old, whose bright red hair means that he can easily be spotted on the pitch, has played in all four of Dynamo Kyiv’s Champions League group stage matches, scoring once in Dynamo’s 1-1 tie against Beşiktaş on matchday 2, and after matchday 14 of the Ukrainian Premier League (UPL) featured in seven matches UPL matches, scoring twice. Tsygankov also scored in his only appearance in the Ukrainian Cup this season—a 5-2 victory over Zorya Luhansk. It was, therefore, no surprise that Andriy Shevchenko entrusted Tsygankov with his first international cap on Saturday. The 18-year-old was brought on in the 83rd minute at a point when Finland were looking to equalize the score, but the Dynamo Kyiv winger made no mistake, and helped his country to secure a much needed victory. Born in Nahariya, Israel, while his father, Vitaliy, was playing for the now dissolved Hapoel Tayibe Football Club (which in 1996 made history by becoming the first Israeli-Arab club to play in Israel’s top flight) Tsygankov joined the Nyva Vinnytsia football school in 2009 after his father had returned to Ukraine. Then in 2011, he joined Dynamo Kyiv’s famous youth academy, where he developed quickly into one of the country’s most exciting prospects. Like his teammate Andriy Yarmolenko, Tsygankov is a natural right-winger, who shoots with his left foot. Yarmolenko, like FC Bayern München’s Arjen Robben, therefore, likes to cut in to shoot with his stronger foot, and Tsygankov has been compared to both. His remarkable ability to create goal-scoring opportunities by running into the open space make him a constant goal-scoring threat, which means he can play both as a winger in a 4-2-3-1 formation, and also as an inside forward in a 4-3-3 formation. 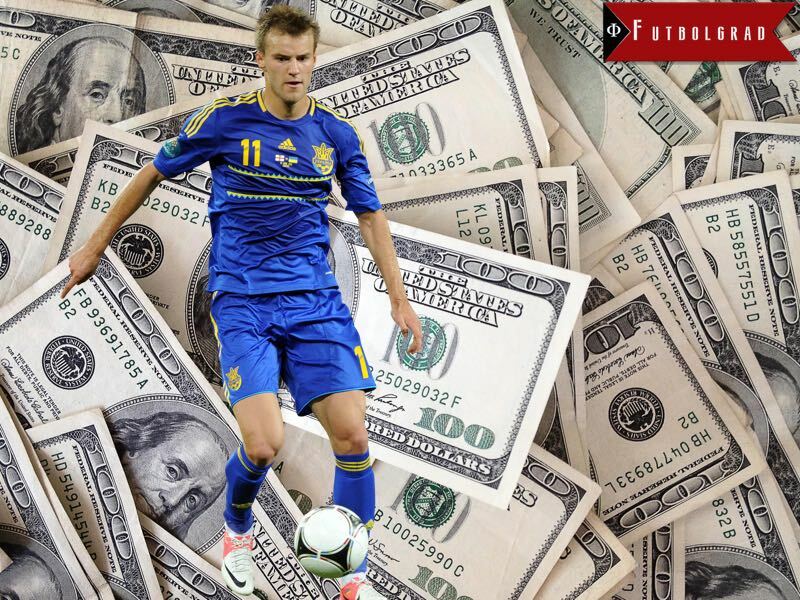 There have long been rumours that Yarmolenko could leave Dynamo for a club in one of Europe’s top leagues and, while a new contract at Dynamo has made such a move difficult in the near future, Tsygankov could become the natural replacement for Yarmolenko should such a move materialize. 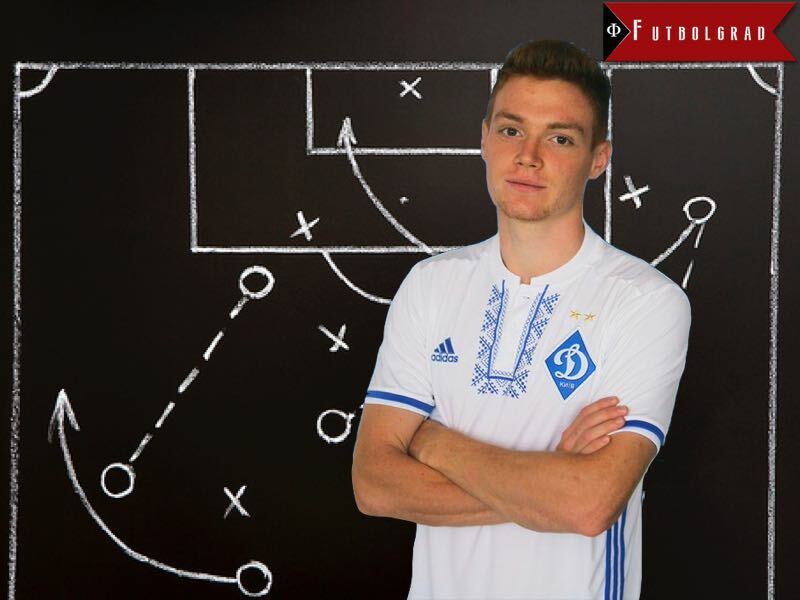 For now, however, Tsygankov will have to be content with either playing on the left-wing, or coming on as a replacement for Dynamo Kyiv’s superstar late in the game. Tsygankov’s adaptability to play on either wing actually makes it easy to envision the two wingers playing together in the future, especially as Viktor Tsygankov displays the sort of vision that could also result in his playing at the centre of the park. This was especially evident in Dynamo’s 2-0 home defeat to Benfica on October 19. Bound to the left side of the pitch, Tsygankov was frequently tied into the match by his teammates, and his play had the shades of a playmaker, as he showed his ability to play short passes that opened plays for himself, and his teammates. While he is a fast player, his smaller size (he is 177cm to Yarmolenko’s 189cm) means that he cannot rely on strength and dynamism to push through defensive lines. Finesse is, therefore, the keyword, and it is something that one sees right away in Tsygankov’s play. Indeed, his body language and his foresight to spot others suggests Germany’s playmaker Mesut Özil, who also had to content himself with playing on the wing before moving on to the centre of the park to become a natural number 10. There is, of course, still a long way to go for the young Ukrainian to reach the level of players such as, Yarmolenko, Robben, and Özil. Indeed, the same game against Benfica highlighted that the attacking midfielder still needs to work on his ball distribution and tactical awareness, as every excellent pass was followed with an errand ball. Dynamo are unlikely to defend their Ukrainian Premier League title this season, as they have already fallen eight points behind Shakhtar in the title race. At the same time Dynamo should get the necessary results to finish second, which would mean that they would play in the third round of the UEFA Champions League qualification stage next season.